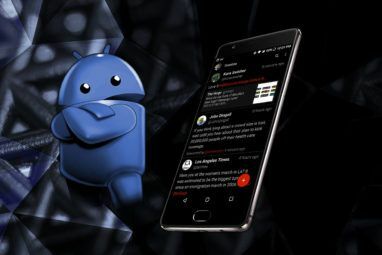 CyanogenMod supports system-wide themes, and these themes won’t just change your wallpaper and sounds — they’ll change the look of the entire operating system, allowing you to replace Holo with something more new. You’ll need to install CyanogenMod 11 CyanogenMod Installer Now Available For Limited Devices CyanogenMod Installer Now Available For Limited Devices The official CyanogenMod Installer has just landed in the Play Store alongside a PC client that should make the ROM flashing process much easier. Read More before using these themes unless you have a device that came with CyanogenMod, like the Oppo N1 Oppo N1 CyanogenMod Limited Edition Review and Giveaway Oppo N1 CyanogenMod Limited Edition Review and Giveaway The Oppo N1 is an Android phone that runs CyanogenMod out of the box and has hardware features you won't see on any other phone, like a rotating camera and a rear touch panel. Read More or OnePlus One Top Six Best Features Of The OnePlus One -- And One Drawback Top Six Best Features Of The OnePlus One -- And One Drawback I've been living with the OnePlus One for a few weeks now, and it's amazing, but it's not perfect. Let's run through some of the best features -- and one downside. Read More . Many of these themes cost money on the Play Store, but can be downloaded for free from the XDA-Developers forum. If you love a theme and plan on using it for a while, consider buying the paid version to support the developer! These Lollipop themes were inspired by the new Android L interface. They’re not designed to mimic the Android L preview exactly, but they definitely are inspired by the next version of Android. This theme will hold you over until you can get an Android L version of CyanogenMod on your device. Both orange and lime-flavored lollipops are available! Gem Flat provides a modern, flat-style look. It’s an attempt to mix Android’s Holo style with the flat design that’s so popular these days. Flat design has taken over other operating systems, like Apple’s iOS 7 and Microsoft’s Windows 8. Neon Colors is a great demonstration of what user-created themes make possible. No operating system developer will release a crazy-looking multicolored theme like this one as their default theme. This is the kind of thing that you can only get with user-created themes. Forget all the colors — BlackedOut offers a dark theme. All the interface elements are white on a dark black background. If you use a dark theme on your PC 10 Dark Windows Themes & Skins To Reduce Eye Strain 10 Dark Windows Themes & Skins To Reduce Eye Strain Do you struggle with headaches or irritated eyes? You may be dealing with eye strain. Computer screens can be glaringly bright, especially in the dark. Dark themes could be your free remedy. Read More and want something similar on your phone, this is the theme for you. This iOS 7-style flat theme is the closest thing you’ll get to Apple’s iOS 7 on your Android phone Enjoy the iOS 7 Look on Any Device! Enjoy the iOS 7 Look on Any Device! Have you installed iOS 7 on your Android yet? No? Well, that's probably for the best, but it doesn't mean you can't get your chance to enjoy the iOS 7 look without an iPhone. Read More . Many toggles and buttons look almost identical to their iOS 7 counterparts. Your friends probably won’t think this is iOS 8 What's New In iOS 8? What's New In iOS 8? After last year's big iOS 7 redesign, you'd expect a muted iOS 8 announcement at this year's Worldwide Developer Conference – but you'd be wrong. Read More , though — Android still looks like Android. Simplex is a well-put-together theme. It isn’t completely flat, incorporating transparencies and light textures. Where Android’s standard Holo theme incorporates blue as an accent color, Simplex incorporates red. It may not be as eye-catching as Neon Colors or as gimmicky as an iOS 7 theme, but this is a polished theme you could actually use for an extended period of time and be happy with. 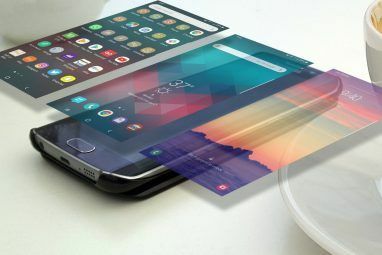 HoloSense is an attempt to mix Android’s Holo look with HTC’s Sense theme. This theme provides Sense-style icons and offers both light and dark styles. Fans of HTC’s Sense look will like this one — it even installs and uses the same font used in the real HTC Sense theme. Flats is another attempt to mix Holo and flat design. There’s not a lot to explain here — it’s just another good attempt at providing a trendy, flat-style theme for Android. If you like Holo but wished it looked a bit more modern, Flats and Gem Flat are both great options. There are many more CyanogenMod 11 themes out there. 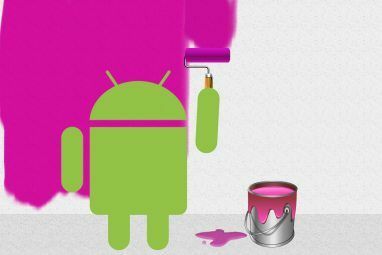 You can find them by searching Google Play for CyanogenMod themes, digging through the Android Themes section at XDA-Developers, or just by searching Google for CyanogenMod 11 themes. If you’ve got a new OnePlus One, try looking through the Themes Showcase app preloaded on your device. Leave a comment if you find any other great themes! 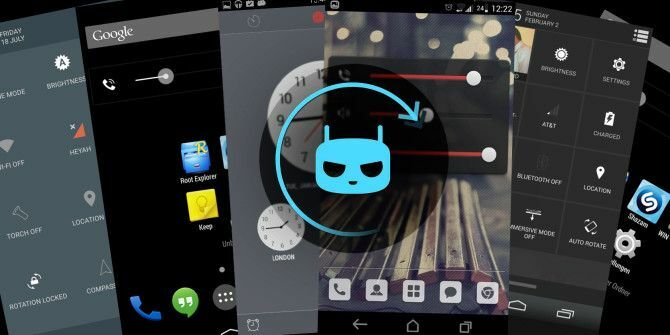 We’re sure there are more great CyanogenMod themes we haven’t yet found, and more are being created all the time. Dustinb makes one hell of a great theme. Cobalt has ranked at the top of my list for the past couple years. Also, Flux and Flux White, made by giannisgx89. Now those are how themes are supposed to be. Don't see how they did not make the top 10. I was going to say the same thing, only on Mahdi ROM here!